The Government Accountability Office warns congress that domestic drones raise privacy, security, and GPS jamming and spoofing issues. More here. In response to WikiLeaks, the Defense Information Systems Agency has been tasked with improving network security for all branches of the federal government except the State Department and the Federal Bureau of Investigation. More here. The White House’s online petition platform “We The People” celebrated its first birthday having generated 3.4 million signatures from 2.8 million users, 39 percent of whom signed a petitions that received an official response from the White House. More here. 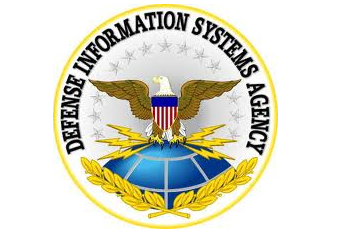 The Defense Information Systems Agency wants to extend the contract for its cyber threat information sharing network. More here. Millions more Americans will soon gain access to the Department of Veterans Affairs’ Blue Button, which will allow them to download their personal health records simply by clicking on a blue button on the websites of their healthcare providers and insurance companies. More here. The Department of Defense’s Joint Land Attack Cruise Missile Defense Elevated Netted Sensor or JLENS spy blimps finally detected and tracked their first anti-ship cruise missile. More here. Citing a tripling in mobile malware in less than a year, the Government Accountability Office recommended that the federal government do more to encourage private sector mobile device security. More here. Argonne National Laboratory’s Mira, the world’s third most powerful supercomputer, is scheduled to run the largest, most complex universe simulation ever attempted in October. More here. The Federal Energy Regulatory Commission has established the Office of Energy Infrastructure Security to identify and address physical and cyber threats to the energy industry. More here.